Hundreds of people came to see the exhibition or met the visiting artists and curator at the various educational events in London, Norwich, Northampton and Hull. Much of the artwork was sold. Thousands more learned about the project and Cuban art through the website presentecubanart.org, catalogue and education pack. Also, a documentary was made and screened by Telesur about the show and the visiting artists. 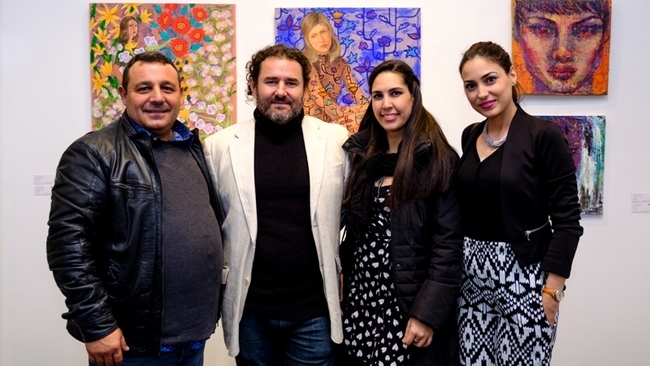 £14,000 was raised for art materials for young artists and students in Cuba. £400 worth of equipment was delivered to Cuba in april and the rest of the funds are being distributed via CNEART, the umbrella institution for schools with arts specialism, across the island. Thanks to the Cuba solidarity Campaign, the Cuban Ministry of Culture, Fondo Cubano de Bienes Culturales, GX Gallery, the NUT,and all who donated, bought art and supported the project including many prominent british artists and actors.